This beautiful sleepsuit / sleeping bag by My Little World offers comfort and warmth to your little one throughout the year. Featuring a cute robot design the sleeping bag will gently cocoon around baby, keeping them snug and draught free. The robot appliqués make this a truly indulgent design for the nursery, a room for sharing the warmest of hugs with your little one. 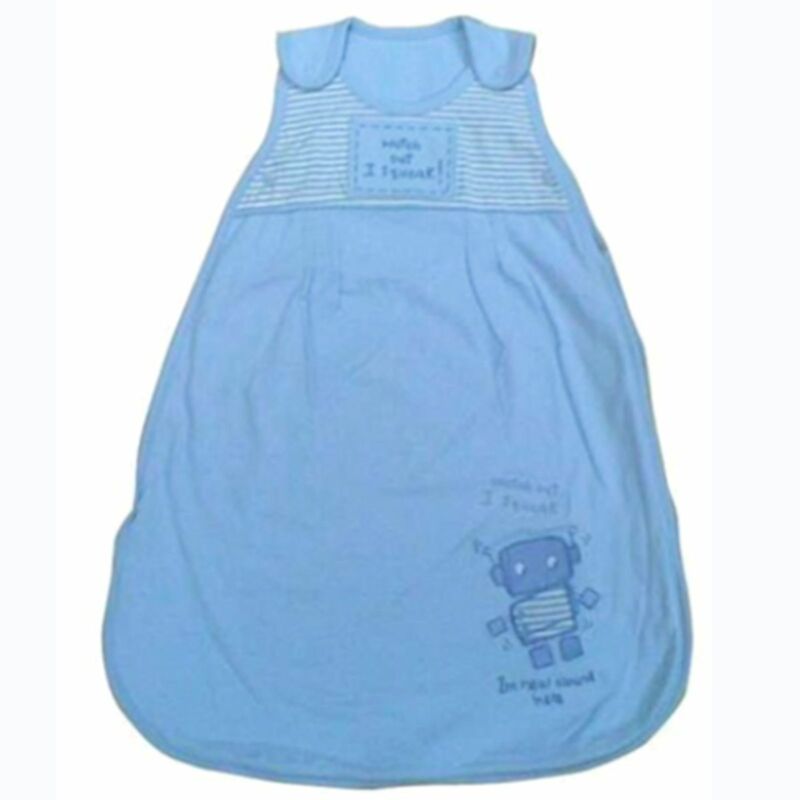 This cosy sleep suit offers a more peaceful nights sleep for both parents and baby as its sleeping bag design ensures it cannot be kicked away as conventional bedding could be.